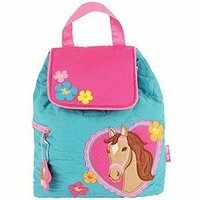 Backpacks and lunch boxes with horse theme designs. Backpacks for kids and adults. Backpacks and lunch boxes come with lots lot different designs suitable for kids and adults. 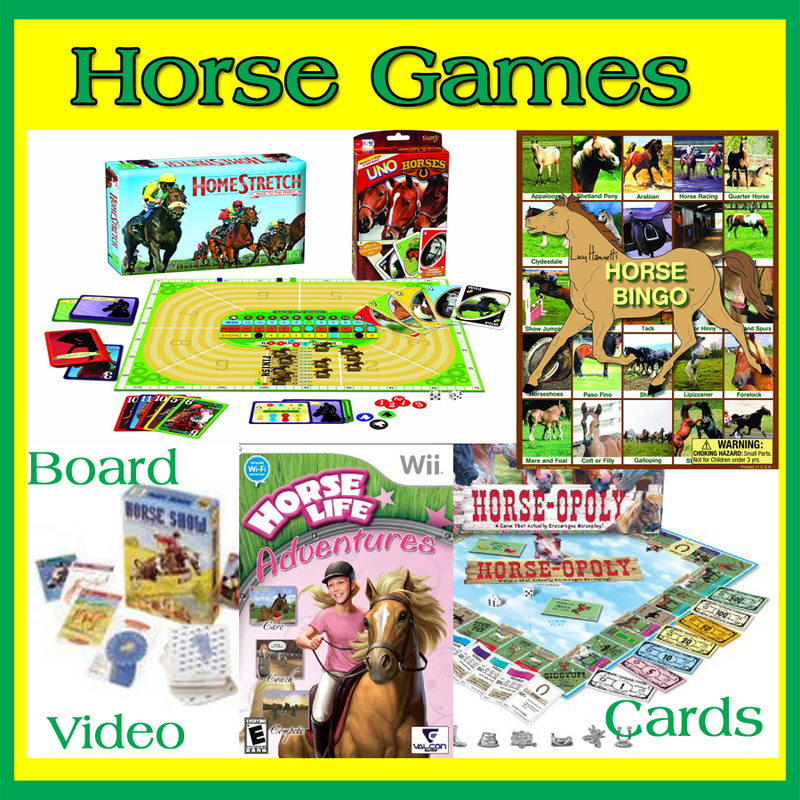 I selected these specifically for horse lovers. 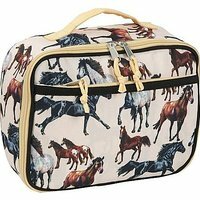 There is an assortment of bags with realistic horse pictures, horse designs and cartoon character horses. ​I found this sweet photo print with horses standing near a fence on a set that comes with backpack and a lunch box. I have shown the pink and tan versions here, but they are also available in other colors. These are available as separate pieces as well. This 3D photo print of a horse comes on a backpack or lunch box. The backpack will hold up to a 15 inch laptop. It has padding on the bottom and a wide padded shoulder strap. The lunch box has an adjustable strap for shoulder or hand carry. There are additional pictures and close ups of the lunch box. T​​his backpack measures 19 x 14 x 7 and is covered with horses and saddles on a blue background. It has 3 zippered compartments and a padded adjustable shoulder strap. 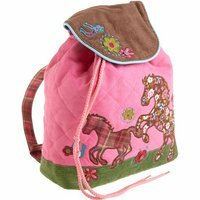 This pink backpack with a horse design is made the same a the blue bag with 3 compartments. The Wildkin​​ brand has several pieces in their line of horse print bags. Besides the pink backpack and lunch box combination shown here, which also come separately, they offer several styles of bags. Some of the other styles include weekend bags, messenger bags, pencil cases and rolling cases. The even have these prints on sleeping bags. See all of the Wildkin horse print bags and accessories here. 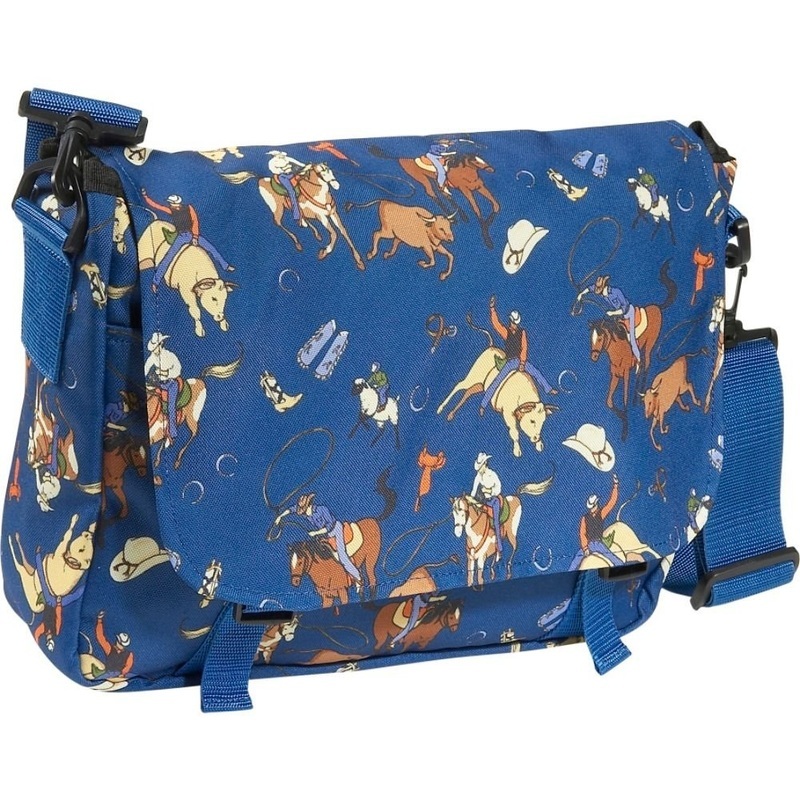 The rodeo print bag is also from Wildkin and features cowboys riding horses, bulls and mutton bustin' on a blue background. It measures 4 x 13 x 10 inches. 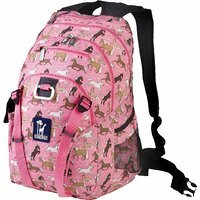 Harry Hoofs is such a cute backpack for boys or girls. ​​It is functional and hugable. It has a fully lined interior and is hand washable. I love all of the pieces from Stephen Joseph, especially the horse themed bags and backpacks. 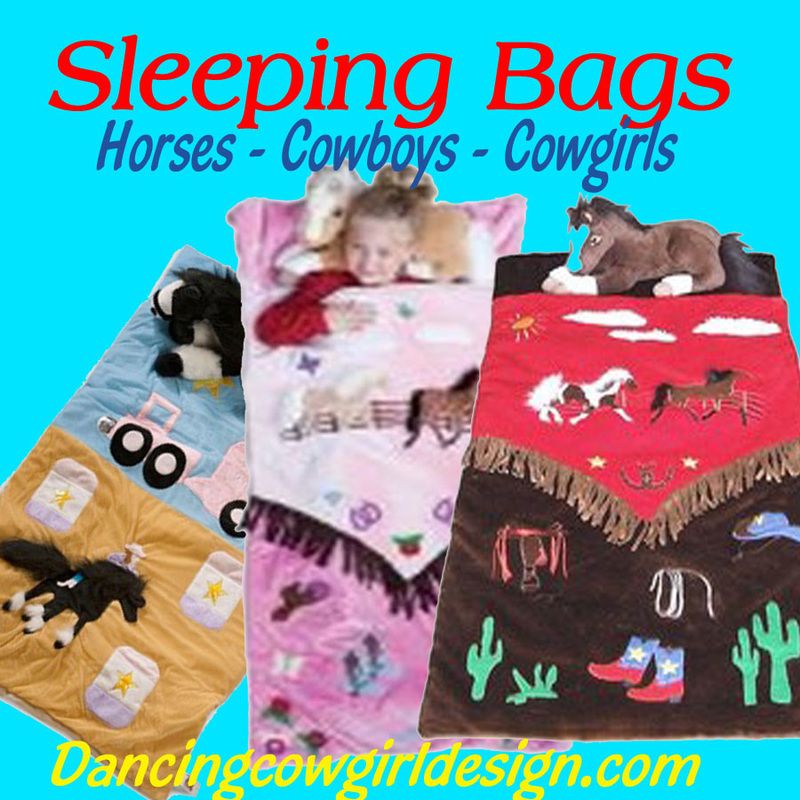 They are perfect for little girls who love horses. This 3 piece set includes a backpack, lunch box and coloring book. It has a canvas exterior with appliques. The lunch box is insulated and has 2 sections for hot and cold storage. 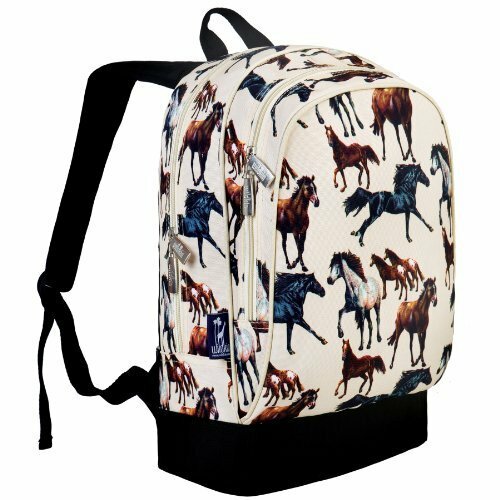 The Stephen Joseph Collection also has quilted backpacks in a variety of designs with horses like these shown below. ​See more like these in single pieces and in sets here. 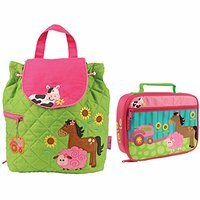 This My Little Pony backpack and lunch box​​ set is just one of many that feature the coloful little cartoon horses. The backpack has 2 side mesh pockets with adjustable straps and zip closure. The lunch box is insulated, has a carry handle and zip closure. See all of the My Little Pony Backpack and Luck boxes in sets and single pieces. 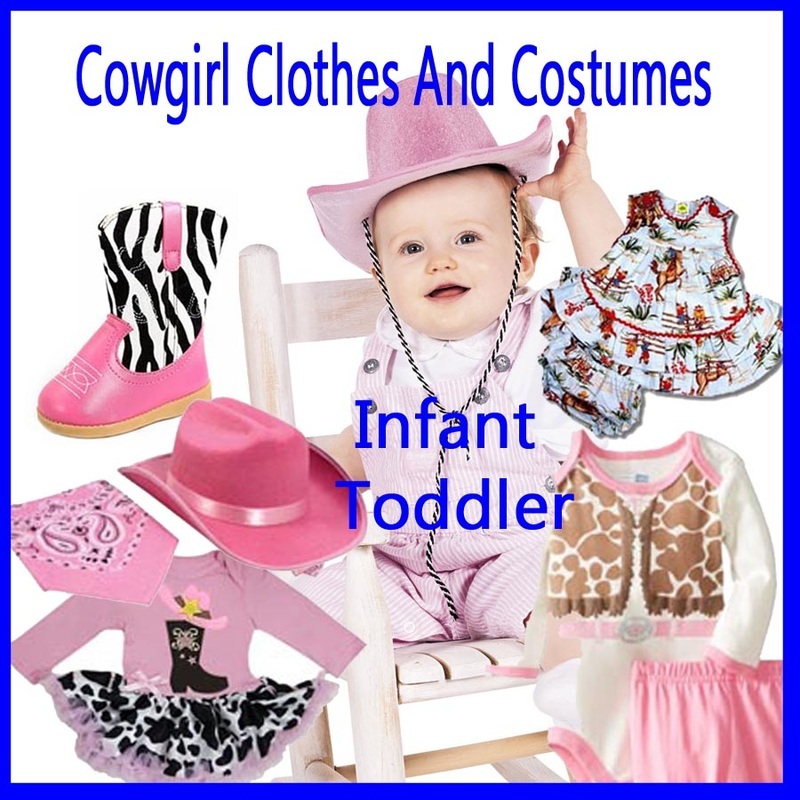 ​Then there is Sheriff Callie and her horse Violet. 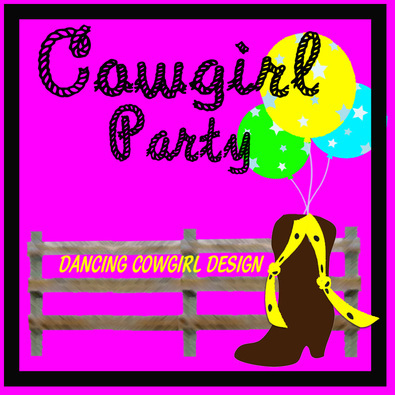 This is one of my favorite cartoon cowgirls. There are some other sets like this with different scenes.